Fans of Radio Shack were hit hard with the recent news that the electronics retailer plans to close roughly 20% of its stores. The announcement indicated the chain will close over 1,000 of its lower-performing stores, primarily in the U.S. 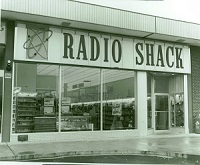 While electronics consumers remain hopeful for the future of Radio Shack, no matter what the future holds, they can rest assured that the glory days of Radio Shack’s past and an archive of Radio Shack catalogs will be immortalized by Mike D’Alessio on radioshackcatalogs.com. Mike is the general manager for a Chicago area company that manufactures wiring and electrical products for antique, classic and muscle cars, but is also the chronicler of all things Radio Shack. After saving stacks of old Radio Shack catalogs since he was a kid, Mike considered scanning them before they were too deteriorated. It was then that the brainstorm to create an archival website hit him, and radioshackcatalogs.com was born.